Our eyes are responsible for four-fifths of all the information our brain receives. Here you can find out more about how we see. Because the front part of the eye is curved, it bends the light, creating an upside down image on the retina. The brain eventually turns the image the right way up. The retina is a complex part of the eye, and its job is to turn light into signals about images that the brain can understand. Only the very back of it is light sensitive: this part of the retina is roughly the area of a 10p coin, and is packed with photosensitive cells called rods and cones. Cones are the cells responsible for daylight vision. There are three kinds, each responding to a different wavelength of light: red, green and blue. The cones enable us to see images in colour and detail. 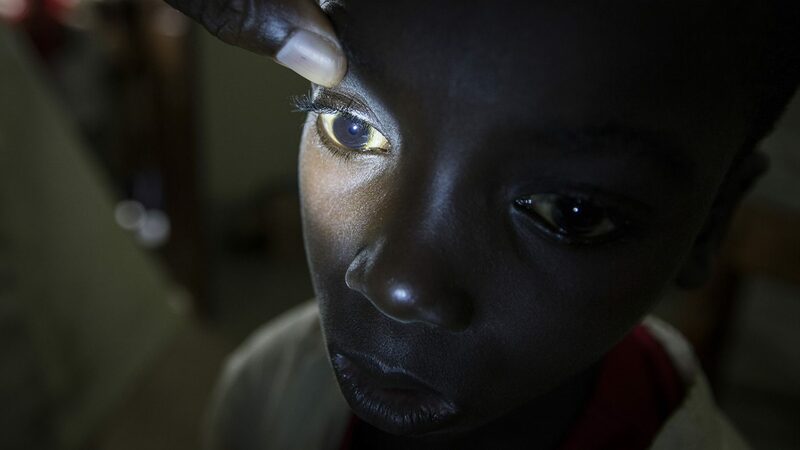 Rods are responsible for night vision. They are sensitive to light but not to colour. In darkness, the cones do not function at all. How do we see an image? The lens is a clear disc-like structure that helps to focus light on the retina. It can do this because it is adjustable, and uses a muscle called the ciliary muscle to change shape and help us focus on objects at different distances. The automatic focusing of the lens is a reflex response and is not controlled by the brain. Once the image is clearly focused on the sensitive part of the retina, energy in the light that makes up that image creates an electrical signal. Nerve impulses can then carry information about that image to the brain through the optic nerve. Other parts of the eye include the aqueous humour, a liquid which sits in a chamber behind the cornea, and the vitreous humour, the clear gel that fills the space between the lens and the retina. 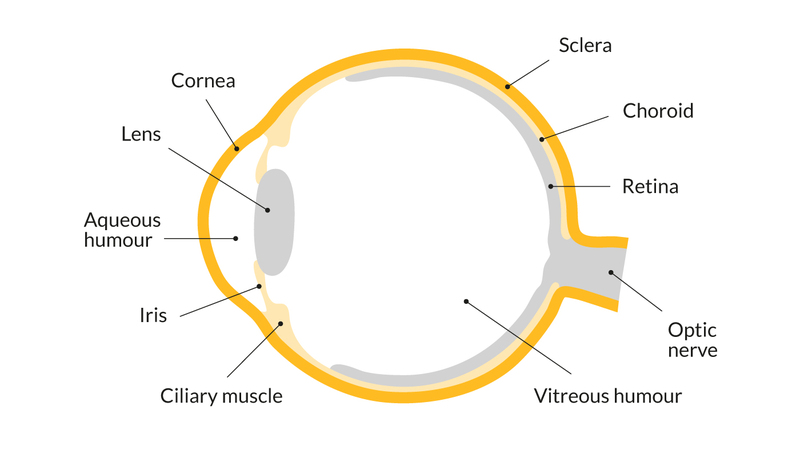 The sclera is the white part of the eye, forming an outer layer that protects everything inside, while the choroid is the layer of the eye that lies between the retina and the sclera. It is made up of layers of blood vessels that nourish the back of the eye. Short sight (myopia) and long sight (hypermetropia) are common conditions, both caused by the cornea and lens not focusing properly on the retina. Short sight is where the eyeball is elongated or the lens is too thick, causing the image to focus in front of the retina. Long sight is where the eyeball is too short or the lens too thin, causing the image to focus behind the retina. Prescription glasses can help with both long and short sightedness. 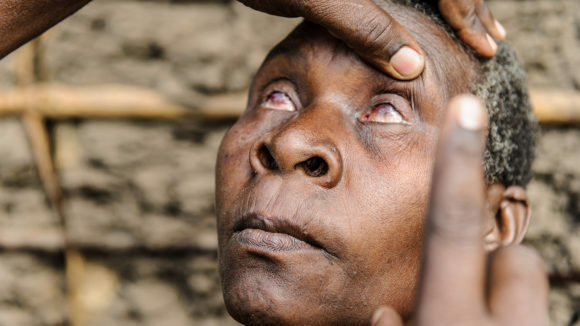 There are other sight-threatening eye conditions and eye diseases that are not so easily corrected, including cataracts, and neglected tropical diseases such as trachoma and river blindness, all of which can cause blindness if left untreated. 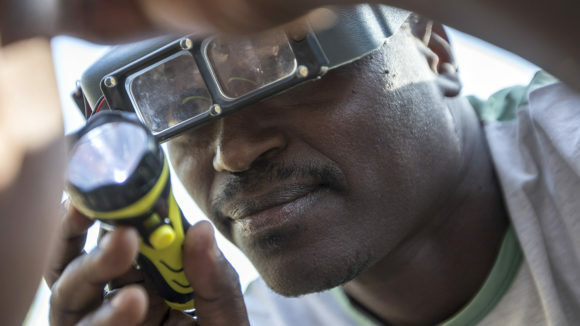 For more than 60 years, Sightsavers has been working with partners to prevent or treat these and other causes of avoidable blindness that affect hundreds of millions of people in developing countries. 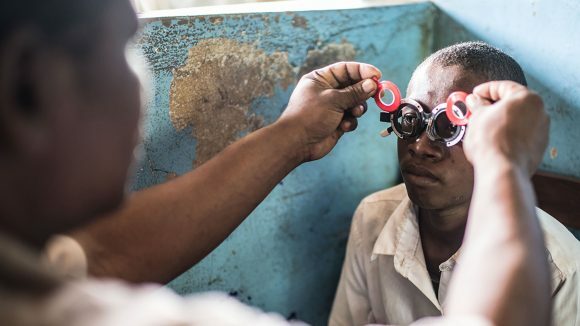 We do this not only by distributing treatment and carrying out operations to restore sight, but also by strengthening health systems to enable more people to access eye health services, and treatment and operation programmes, into the future. 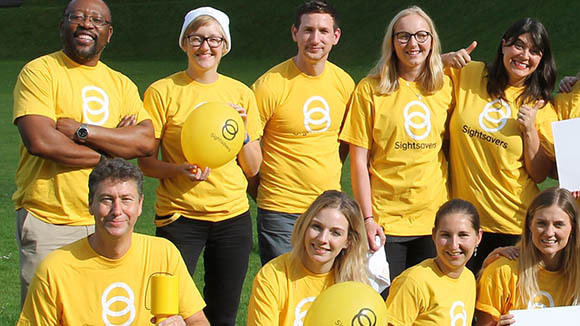 You can find out more about what we do, or support Sightsavers’ work and help people to see again by making a donation. 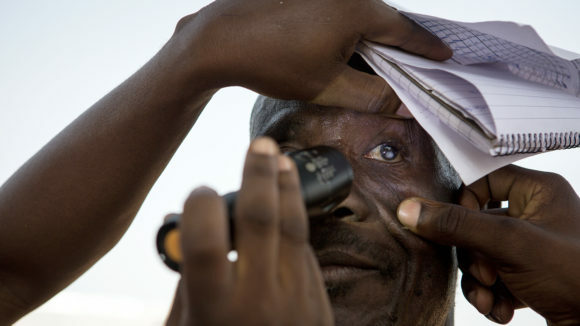 Trachoma, a neglected tropical disease, is the world’s leading infectious cause of blindness. Repeated infections cause the eyelashes to turn inwards.